In 2019, the Cambridge Philosophical Society celebrates its 200th anniversary. When it was set up in 1819, Cambridge was not a place to do any kind of serious science. There were a few professors in scientific subjects but almost no proper laboratories or facilities. Students rarely attended lectures, and degrees were not awarded in the sciences. 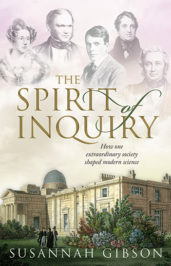 The Philosophical Society was Cambridge’s first scientific society. Within a few years of its foundation, it had begun hosting regular meetings, set up Cambridge’s most extensive scientific library, collected and curated Cambridge’s first museum of natural history, and begun publishing Cambridge’s first scientific periodical. 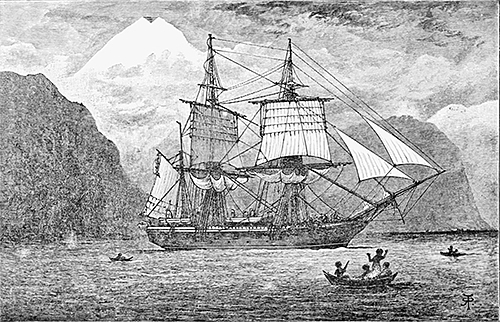 Charles Darwin had studied at Cambridge from 1828 to 1831 then, wanting to pursue a scientific career but unsure of how to go about it, he accepted an offer to travel on HMS Beagle as it mapped the coastlines of South America. The fellows of the Philosophical Society were keen to send a Cambridge man on the voyage; “what a glorious opportunity this would be for forming collections for our museums” wrote one as he debated who to propose for the voyage. In the end, young Darwin was chosen and set off in December 1831. Darwin regularly wrote back to Cambridge from his travels, with many of his letters addressed to his old mentor John Stevens Henslow. Henslow had been one of the co-founders of the Philosophical Society and so excited was he about Darwin’s discoveries and observations in South America that he eagerly brought Darwin’s letters to meetings of the Society to be read aloud. Image Credit: H.M.S. Beagle in Straits of Magellan by Robert Pritchett. Public Domain via Wikimedia Commons. The philosopher and logician John Venn is best remembered today for creating what we now call “Venn diagrams.” He first published a paper on these diagrams – he called them “Eulerian circles” – in July 1880 in a journal called The Philosophical Magazine. But Venn, who was a fellow of Caius College in Cambridge, often attended meetings of the Cambridge Philosophical Society, and so it was natural that his first talk on the circles was given at the Society. This was in December 1880 and it was the first time he showed these images to an audience. Initially, these diagrams were just used by logicians and mathematicians; today they are still used for these purposes, but have also become a staple of pop culture and internet memes. Image Credit: John Venn’s “geometrical diagram for the sensible representation of logical propositions” from a talk he gave at Cambridge Philosophical Society, 6 December 1880. Used with permission. In May 1895, a young researcher at Cambridge’s Cavendish Physics Laboratory gave his first talk at the Cambridge Philosophical Society. This young man, C.T.R. Wilson, was fascinated by meteorology and had just returned from a weather observatory on Ben Nevis where he had spent hours watching cloud formations as they moved and changed above the mountains. 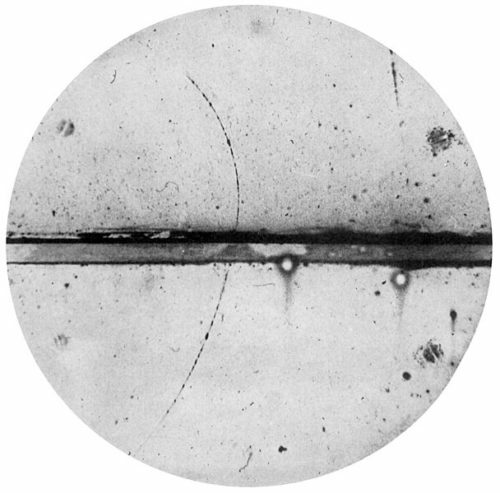 Back in Cambridge, he began to create artificial clouds in the laboratory, in a device he called “the cloud chamber.” It was this device he talked about at the meeting that May evening; it was the first time he had presented this work to colleagues. Many researchers at the Cavendish then were studying x-rays and radioactivity, so Wilson had access to radioactive material and began to irradiate his clouds to see what happened. This was around the same time that the head of the laboratory – J.J. Thomson – discovered the first sub-atomic particle, the electron. Wilson and Thomson realized that by introducing electrons into Wilson’s artificial clouds, they could observe the water droplets that formed around the particles, and thus could work out their charge and mass. Wilson’s cloud chamber, designed to study the weather, became one of the most important tools in understanding the secrets of the sub-atomic world, and Wilson and Thomson would both go on to win Nobel prizes for their work. Lawrence Bragg was a young researcher at the Cavendish Laboratory when he presented his first ever scientific paper to the Cambridge Philosophical Society. He was just 22, and in fact his mentor J.J. Thomson read the paper for him as Bragg was so young. The paper discussed an experiment in which x-rays were aimed at a crystal, passed through the crystal, and then exited the crystal in a regular pattern that showed up as dots on a photographic plate. Others had tried to explain the regular nature of the pattern produced, but it was Bragg who successfully showed that the arrangement of dots was directly linked to the structure of atoms within the crystal: he had created a new way of “seeing” inside matter. Other scientists immediately saw the importance of Bragg’s results. One of Bragg’s most ardent supporters was his father William Bragg who at once began working on the machine known as the x-ray spectrometer. The technique of x-ray diffraction would become one of the most important tools in twentieth-century science, and was most famously used to decode the structure of DNA. Like Wilson, Lawrence Bragg was awarded a Nobel Prize for this piece of work first unveiled to the world at a meeting of the Cambridge Philosophical Society. Image Credit: Diffraction of radiations by atoms by the.ever.kid. CC BY-SA 3.0 via Wikimedia Commons. 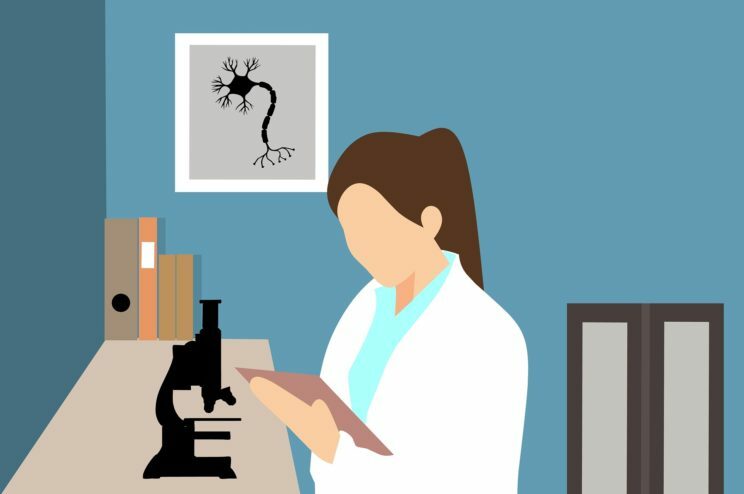 It’s well known that the word “scientist” was coined in Cambridge in 1833 by William Whewell (a founding member of the Cambridge Philosophical Society). But it’s less well known that it took place at a meeting arranged by the Cambridge Philosophical Society. In 1833, the British Association for the Advancement of Science met in Cambridge thanks to an invitation from the Society. The Society organised almost all aspects of the meeting, and parts of it were even held in the Society’s own house. Many at the time were concerned about the terminology used to describe the people who did science. ‘Natural philosopher’ was a commonly used term, but Whewell considered it “too wide and too lofty;” the German natur-forscher was good, but did not lend itself to any elegant English translation; while the French word savans was “rather assuming” and too, well, French. Instead, Whewell proposed the word “scientist” as an analogy with “artist.” At the time, Whewell reported, his idea was not “generally palatable.” In Britain, it was rejected as being ugly and utilitarian. But over the course of the century, both the word and the concept of distinct scientific disciplines began to become more visible. Doctor Research by mohamed_hassan. Pixabay License via Pixabay. Featured image credit: “Cambridge-Architecture-Monument” by blizniak. CC0 Public Domain via Pixabay. Dr. Susannah Gibson is an Affiliated Scholar of the Department of History and Philosophy of Science at the University of Cambridge. She holds a PhD from Cambridge on the history of the life sciences of the eighteenth century, a master's degree in the history of nineteenth-century science, and a bachelor's degree in experimental physics. She is the author of Animal, Vegetable, Mineral? How eighteenth-century science disrupted the natural order (OUP, 2015), which was well reviewed in The Telegraph, The TLS, and The Independent, amongst other publications. She was formerly Manager of the Cambridge Literary Festival, and remains interested in both introducing new audiences to the history of science, and in bridging the gap between academic and popular writing.